Analog Age meets the Digital Age! PC Computing Magazine devoted their January 1999 issue to the Most Valuable Products of 1998. 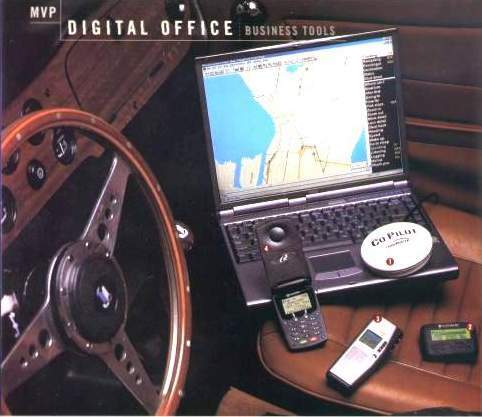 This picture shows the digital office� neatly arranged on the front seat of an early TR6. How ironic........ something so totally analog (a Triumph) being used to display the latest in digital technology.